Mystery runs through a land filled with castles, stone circles and ancient history. Add natural beauty to the mix and you have a fantasy land similar to worlds created by Martin or Tolkien. But one of the main draws to Scotland for me is the story I heard as a child, that a dinosaur-like creature lives in a Scottish lake. Ever since, I have always wanted to visit Loch Ness. Last year, I finally had the chance to visit with relatives and see the “mysterious” loch. I had a few weeks to go off on my own so I rented a car. 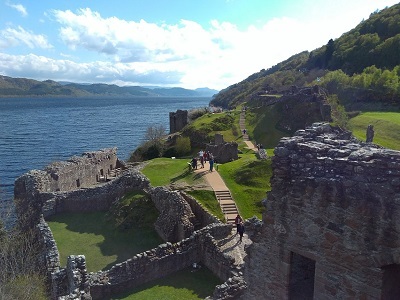 Scotland is not a cheap place to travel but if you book well in advance you can always find deals through travel websites for bed and breakfast and reasonably priced hotels. So off I went. It did not take long to become captivated by the natural wonders of Scotland. Heading North from Glasgow, you are soon immersed in a peopleless landscape of trees and rolling hills. Further on, you see snowy mountains looming over deep valleys and chasms. Lochs, rivers and streams reflect the beauty of it all. Within a week of arriving, I found myself gazing into the waters of Ness. Try as I might, I could see nothing but darkness as the loch is near black! Combine the opaque with a maximum depth of 755 feet and you can see why many think a creature could be hiding there. Those who have tried to find Nessie have faced many challenges. After years of frustration, some enthusiasts give up, thinking the monster is either the result of misidentification or imagination. The local museum seems to echo the sentiment. The Loch Ness Centre Exhibition was designed by a likable character named Adrian Shine who has spent decades searching and trying to make sense of the Loch Ness Monster. Paying tourists are brought through a serious of rooms with some well-made displays, a multi-media presentation and the pre-recorded voice of Shine. The emphasis here is not on compelling witness testimony but the search (with a little about the lake’s history). Shine reviews the many attempts to find Nessie and seems to suggest witnesses get carried away. Instead of a monster, we are seeing a “mirror of our imagination” on the loch, the recording suggests. The “mystical” feel of Scotland and Loch Ness would no doubt add to the “mirror of our imagination” effect. But could there be some kind of reality to 30-60 foot long monsters in Scottish lakes? Considering everything from food supply to the lack of a body to examine, few scientists think it possible and “scientific” documentary after documentary explains there have been many misidentifications, hoaxes and illusions leading the credulous to see things that are not really there. The classic “Surgeons photograph” is a case in point. The general public were fascinated by the image and it became one of the most iconic photographs of the 20th century. By 1994, most experts agreed the photo was a hoax but both skeptic and journalist often fail to mention there is other evidence. Evidence of its existence is purely anecdotal, with a few disputed photographs and sonar readings”. Adrian Shine, however, contends that Dinsdale only filmed a boat and had possibly let expectations get the better of his judgement as an “…inexperienced and expectant observer, such as Dinsdale was at that time, may well see things, which become rationalized as unambiguous and vivid memories”. (see Shine’s Dinsdale Paper ). 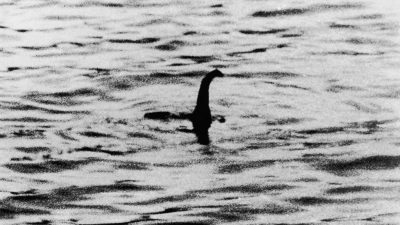 Hardened skeptics believe Nessie observers are either fooling themselves or misidentifying boats and animals yet there are eye witnesses who will strongly disagree. Despite the bad rap given to the witnesses, there are many who are certain of what they saw. 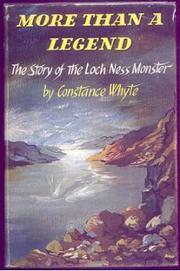 According to researcher Constance Whyte, Nessie witnesses include dignataries and professionals who are not easily fooled. Trained as a medical doctor and scientist herself, Whyte spent ten years interviewing dozens of witnesses and collecting information for her book, More than A Legend (1957). The book “was built around 80 sightings, many reported by multiple witnesses and some corroborated by others watching simultaneously from other sites” (see page 56, A Monstrous Commotion by Gareth Williams, 2015). One such case is the July 1947 mass sighting. A 30-foot creature “charged towards the shore…throwing up a massive wash that sent picknicers running up the beach in panic” (see pages 57, A Monstrous Commotion by Gareth Williams, 2015). The incident lasted for several minutes and was seen simultaneously by witnesses watching from different vantage points. In such cases, a sighting becomes harder to dismiss. Whyte became impressed something real was happening. For both sides of the argument, we must consider the recurring problem philosopher Robert Anton Wilson calls “whatever the thinker thinks, the prover proves“. In other words, believers and skeptics alike have a tendency to consider the so-called evidence passionately and seek the best available evidence to “prove” their bias while ignoring other information and possibilities. After convincing themselves of one hypothesis (for example, ‘Nessie is real’ or ‘Nessie does not exist’) it becomes impossible for them to accept opposing ideas and evidence. A barrier is erected. Despite its utility in building our modern technological world, science is a tool highly dependent on the user. The media publicizes a recent ‘Does Nessie Exist?’ study by New Zealand professor Neil Gemmell, who took 300 water samples to analyze the DNA of animals swimming in the Loch. Yet this study might only reflect the researcher’s bias – a researcher who does not believe the Loch Ness monster exists! 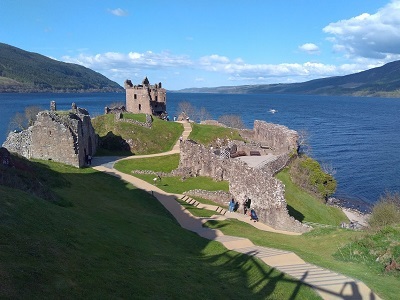 The researchers might only “see” the DNA of those things they expect to find, even though they think they are scientifically approaching the Nessie question (see https://www.cbsnews.com/news/loch-ness-monster-legend-dna-samples-test/). To avoid problems many suggest “blind” data collection – see Evidence of Experimental Bias in the Life Sciences: Why We Need Blind Data Recording as selection bias and observer bias can be overpowering. Yet problems with “scientific studies” are said to be more widespread than just big pharma. In his widely cited 2005 article, physician-scientist John P. A. Ioannidis says, “for many current scientific fields, claimed research findings may often be simply accurate measures of the prevailing bias”. His article, Why Most Published Research Findings Are False is said to be the most downloaded technical paper from the journal PLoS Medicine. None of this is meant as an attack on science itself – science is obviously a useful tool – but we must admit there are limitations to our knowledge of reality. Do we really know what we are looking at? Or, are we just assuming we do? Perhaps the attempts of Shine and others to find a soothingly logical and scientific explanation might not fit with the Nessie mystery. At the other end of the spectrum are the witnesses who had a disconcerting experience. Right or wrong, there are many who believe they saw a 30-60 foot long monster! 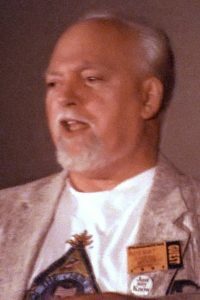 * = This image was found on Wikipedia at https://commons.wikimedia.org/wiki/File:Robert_Anton_Wilson.jpg#/media/File:Robert_Anton_Wilson_(crop).jpg and originally posted to Flickr by frankenstoen at https://www.flickr.com/photos/48016763@N00/2647124699. It was reviewed on 30 July 2010 by FlickreviewR and was confirmed to be licensed under the terms of the cc-by-2.0. Great story Andrew, thanks for sharing! !